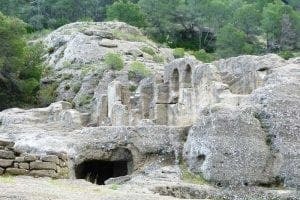 As yet another Andalucian masterpiece wins UNESCO status, Grace Lee and Diana Tang dig up a dozen Roman and Moorish sites you’ve probably never heard of right on your doorstep. THE Romans did a lot for Spain, despite Reg the anarchist’s denials in Monty Python’s Life of Brian. They took over from the Phoenicians more than 2,000 years ago and left behind spectacular buildings that still stand to this day across the region. 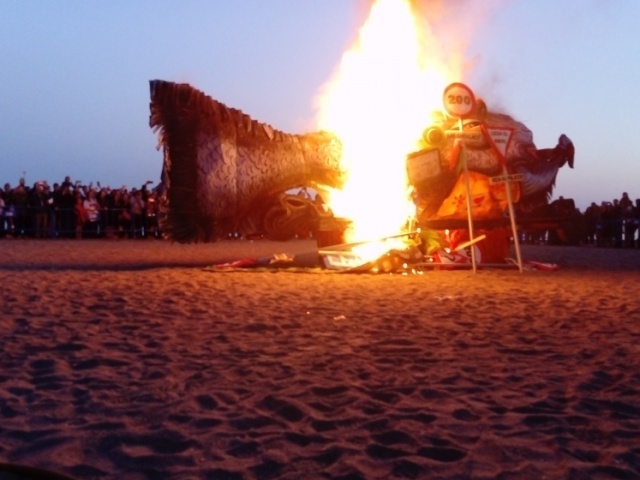 The Moors, who came hot on Roman heels, did a lot more. They shaped the country more radically than any other invader, especially in the southern reaches of Andalucia. For over 700 years until 1492, they created wonderful cities and palaces. Their most famous legacies can be found in the celebrated architectural masterpieces of the Alhambra in Granada, the Mosque of Cordoba and the Sevilla Alcazar. Now to that list can be added the amazing complex of Medina Azahara, near Cordoba, which has just rightfully just won UNESCO World Heritage status. 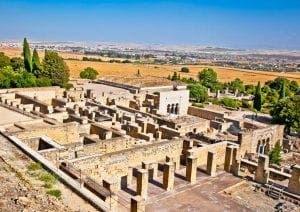 Half-buried for centuries, the excavated ruins of this medieval Muslim palace-city are rapidly becoming one of the must-sees in southern Spain and the UNESCO title will bring thousands more visitors this year. As the busy summer season kicks in, the Olive Press offers up 12 less well-known national treasures, both Roman and Moorish – which can easily be visited, with the bonus of fewer tourists and heaps of historic wow factor. Dominating one of the highest hills for 100 miles, this formidable fortress city once defended the entire Serrania de Ronda. With views in all directions, it was the perfect place to found a Roman town that at one point had a population of over 5,000 people. Not to be confused with nearby Ronda, which was also a Roman town, Acinipo had its own coinage featuring a tendril of grapes, symbolic of the wine growing area. Today, the little-visited site (there is no public transport to get there), is a joy to discover, particularly early in the morning or late afternoon when you can roam it’s tranquil ruins and have the stage of its amazing 2,000-seat amphitheatre (still in use today) all to yourself. Prior to Roman occupation it was the site of a bronze age settlement and you can certainly feel the weight of history here. 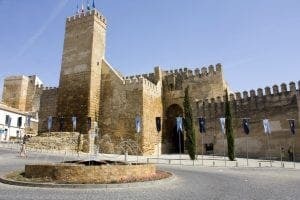 Ancient Carmona is said to be one of the oldest settlements in Europe. 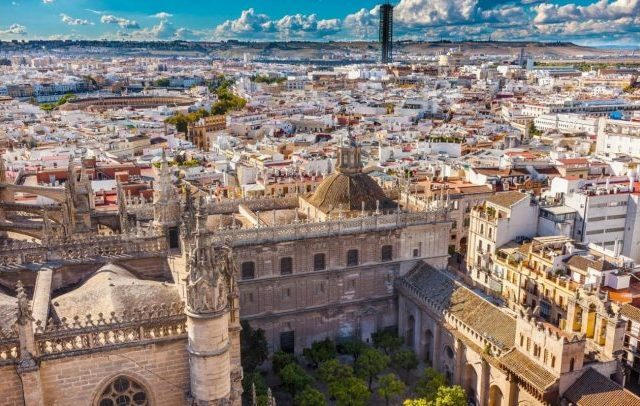 Shaped by a fusion of influences, Roman and Moorish included, only a fraction of the visitors who flock to nearby Sevilla bother to undertake the 20-minute drive east to the town. Yet there’s so much to see: a wonderful fortress, the Alcázar del Rey Don Pedro; a fascinating old Jewish quarter; a palace, now a Parador hotel, which offers panoramic views of the city from the top of its Golden Tower; and, on the edge of town, a must-visit Roman necropolis showcasing more than 900 well-preserved family tombs dating from the second century BC. 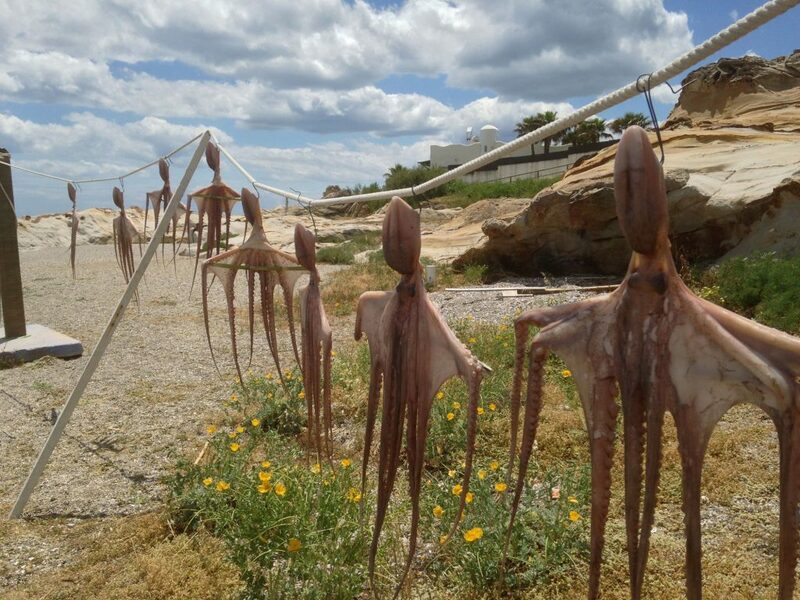 These days Carteia is almost completely overshadowed by the massive oil refinery next door and rarely visited, even by locals from neighbouring Algeciras and San Roque. But it was once one of the most privileged cities in the Roman Empire and its first Latin colony outside Italy. Previously ruled by the Phoenicians and Carthaginians, Carteia was Romanised in 190 B.C. and granted the status of colonia in 171 B.C. 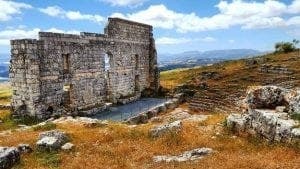 Popular for its strategic location at the gateway to the Mediterranean, at its height, Carteia boasted thermal baths, numerous temples, an amphitheatre and luxury Roman villas. 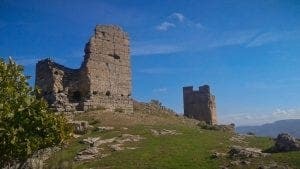 An unassuming ruin perched on a high plateau, this 12th-century castle built under Moorish rule is probably not on your must-visit list. But its dizzying views, towers built of rammed earth and brick, wall paintings and Moorish architecture are well worth the visit. In the castle, you can get a clear view of the plain of the Guadalimar River. 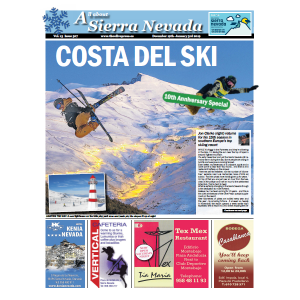 The castle was first constructed before the Romans arrived in Andalucia. It was abandoned in the first century BC after the Roman invasion but brought back into use when the Moors arrived many centuries later. 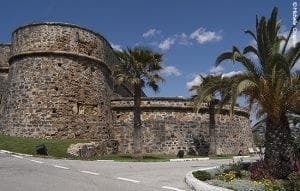 Although many assume that Duquesa is merely another of your typical Costa del Sol marinas, it is home to 18th-century La Duquesa Castle which in turn sits on top of a large Roman fish factory. The fortress still has some of its cannons and the area has been declared an Archaeological Zone of Cultural Interest for its extensive ruins which mostly remain unexcavated. 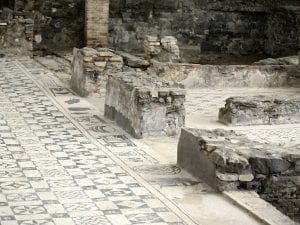 Digs in 1989 revealed much of the region’s elaborate Roman infrastructure, including the remains of a bath house with clearly visible under-floor heating system and white mosaic floors. A Roman villa and necropolis also once stood in the grounds. The birthplace of two Roman Emperors – Hadrian (who built the Scottish wall) and Trajan, this elaborate city was one of Rome’s earliest Spanish settlements. 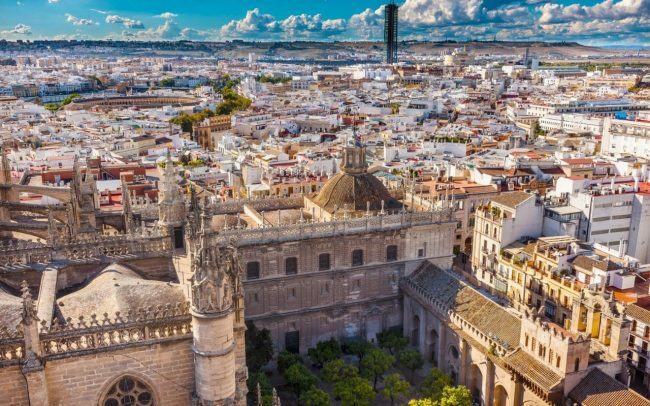 Sadly with its decline, the materials that once made up its beautiful structures were mostly reused to construct much of nearby Sevilla, plus many roads, and locals were filching chunks of it for their own use until relatively recently. Today visitors however, will still be amazed by the two surviving storeys of the amazing 25,000-seater amphitheatre which featured as a Game of Thrones location. Other highlights include five well preserved Roman villas, the temple of Emperor Trajan and some Roman baths. The Roman city of Ocuri lords it atop the Salto de la Mora, a limestone hill near the town of Ubrique, in Cadiz. First built in the 6th century BC, it reached the peak of its glory under the Romans in the 2nd century AD. 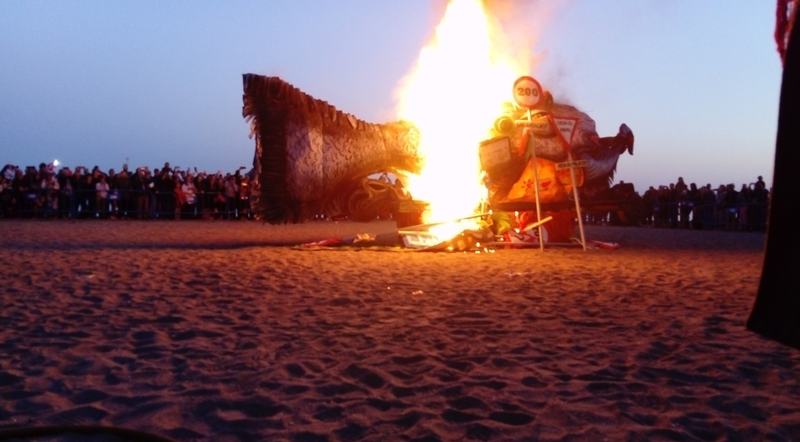 Its strategic location at the gateway to Benaocaz and La Manga de Villaluenga added to the town’s importance. 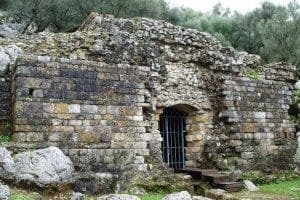 Ocuri’s rich archaeological remains include a monumental mausoleum monument, a cyclopean wall (an ancient Greek version of dry stone walling) and thermal baths. The setting, within the beautiful Sierra de Grazalema national park is a bonus. Almunecar’s well-preserved Roman aqueduct is still a sight to behold. Built in the 1st century AD, it consists of five towering sections spanning the Rio Verde and Rio Seco which run for a total of seven kilometers. During the Roman Empire, the aqueduct provided a valuable supply of fresh water for the town’s inhabitants and fish salting industry. 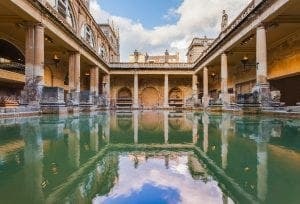 One section was also used to fill the famous Roman thermal baths. Although some sections are fenced off, visitors can get an unobstructed view from the centre of Almunecar and the Rio Seco riverbed. Thermae, or public baths, were all the rage in ancient Rome, a place where people came to relax and socialise. You can find them all over Spain but Herrera’s 15 baths dating from the 3rd century AD are outstanding for their extensive use of marble in the floors, stairs, as well as its wall tiles, beautiful paintings, mosaics, and columns. The most famous central mosaic known as the Pugilists depicts fighters training in colourful, geometric sequences. In 2007, the baths were rightly named an Asset of Cultural Interest (BIC). Medina Sidonia is jam-packed with treasures, including an expansive Roman castle, the remnants of Roman sewers and a well-stocked archaeological museum. However, the underground Roman road is a true, little-known gem in this 3000-year-old city. 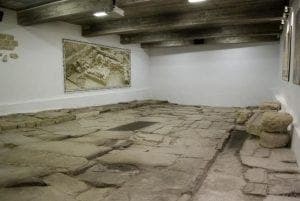 A 15-metre-long stretch of ancient Roman street from the 1st century AD, it features original stone slabs, two preserved sidewalks, a sewer and even games boards etched into the stone where children used to play. 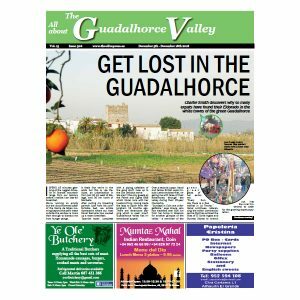 It wasn’t discovered until 1997 when a random house in the town’s Alamo Street was being renovated and builders found it hiding four metres below the foundations. It is now thankfully open to the public. 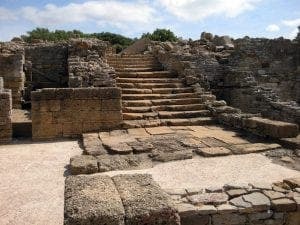 Said to be one of the best-preserved Roman sites on the Iberian Peninsula, this stunning villa is notable for its spacious rooms and wide array of mosaics, paintings and paving which have won it protected status as a Cultural Asset (BIC). Visitors can view the estate’s farm buildings and the owners’ luxurious residence which was modelled on ancient Greek home design and dates from the 1st to the 7th century AD. The villa’s collection of sculptures are exhibited in the town’s archeological museum. This heritage site is where General Omar Ben Hafsun led a well-known rebellion against the Emirate of Cordoba in the 9th century AD. While the Moorish fortress is still being excavated, visitors can explore the complex of cave dwellings, once used as churches, and see three main structures: the Alcázar, a Muslim necropolis and a one-of-a-kind Mozarabic basilica. This church was built after Ben Hafsun converted to Christianity, with everything from its eastward orientation to the placement of the three naves carved carefully and with purpose out of the area’s rock. Location-wise, this spot is amazing with breathtaking views of the nearby El Chorro area. 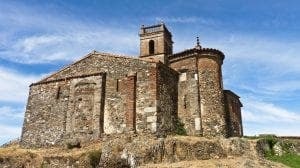 Declared a National Monument of Spain way back in 1931, the Mosque of Almonaster la Real was built in the 9th and 10th centuries AD. Before the Moors built it the site had already undergone various cultural evolutions. It was once a Roman military base, and later a Visigoth basilica. It is one of few remaining rural mosques in Spain as most were destroyed or reconstructed after the Reconquest. Once a beautiful Visigoth church, nothing much more than the walls remain but it’s one of the few North African-type churches built in Andalucia during the 6th century AD. It was also used as a necropolis and contains over 180 tombs. 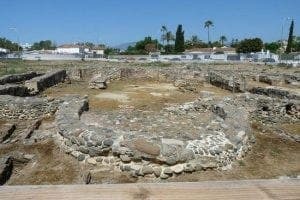 Just steps away from the Guadalmina beach, this site holds remnants of a Roman thermal building and baths dating from circa 3rd to 5th century AD. 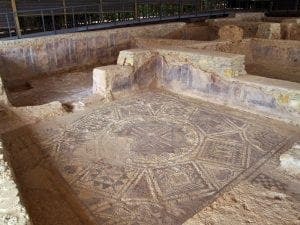 This 1st century AD Roman villa at Rio Verde was once a part of the great Roman city of Cilniana. To this day, its black and white mosaic tiles are preserved.